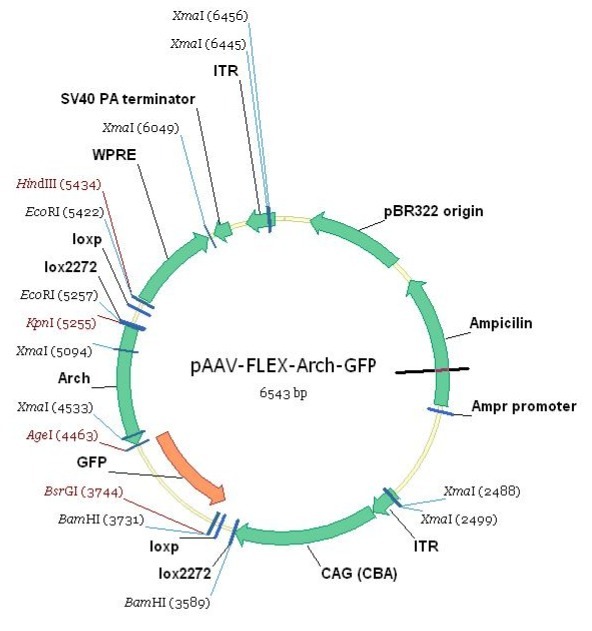 AAV5 22222-AAV5 Please see plasmid 28305 for an alternative. Ready-to-use AAV1 particles produced from AAV-FLEX-Arch-GFP (#22222). 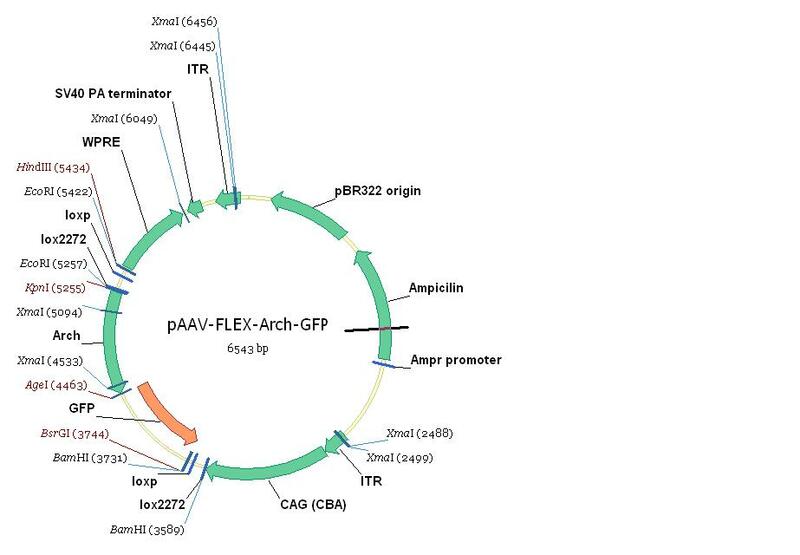 In addition to the viral particles, you will also receive purified AAV-FLEX-Arch-GFP plasmid DNA. CAG-driven cre-dependent Arch-GFP expression for optogenetic neural inhibition. These AAV preparations are suitable purity for injection into animals. 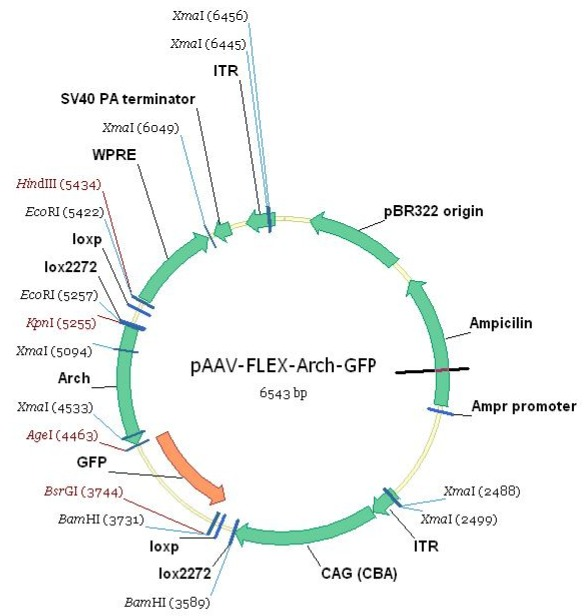 Please see plasmid 28305 for an alternative. Ready-to-use AAV5 particles produced from AAV-FLEX-Arch-GFP (#22222). In addition to the viral particles, you will also receive purified AAV-FLEX-Arch-GFP plasmid DNA. This viral item has been discontinued. 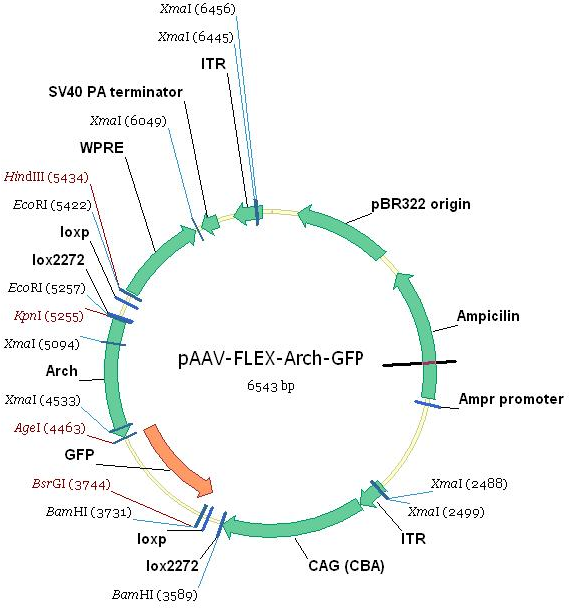 Please see pAAV-FLEX-ArchT-tdTomato (Addgene 28305-AAV5) for an alternative. Ready-to-use AAV9 particles produced from AAV-FLEX-Arch-GFP (#22222). 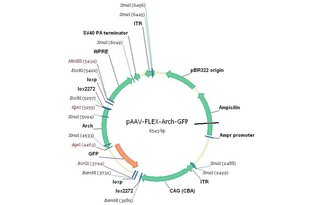 In addition to the viral particles, you will also receive purified AAV-FLEX-Arch-GFP plasmid DNA.